ERPNext Project Change Management – Dale Scott, P.Eng. I followed a defect report through the ERPNext change management process to understand the process. Nice job guys!. 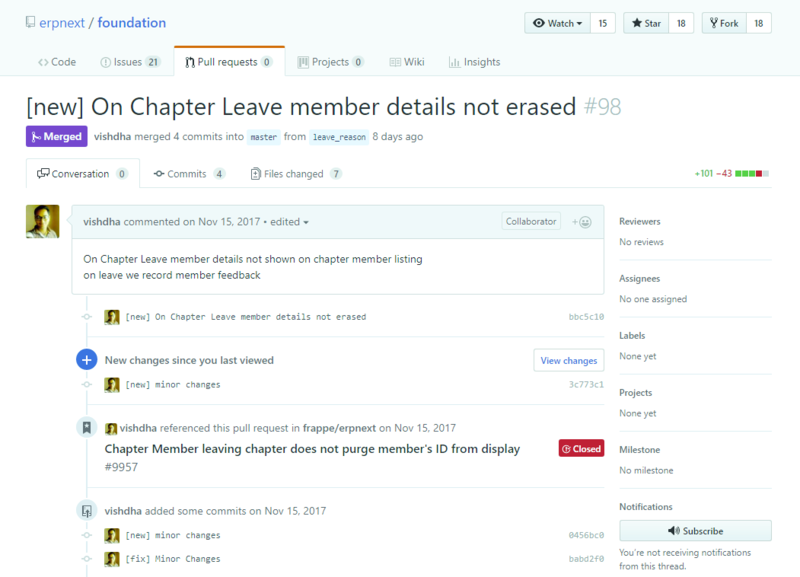 The issue had to do with the Service Provider Chapter member listings on erpnext.org. 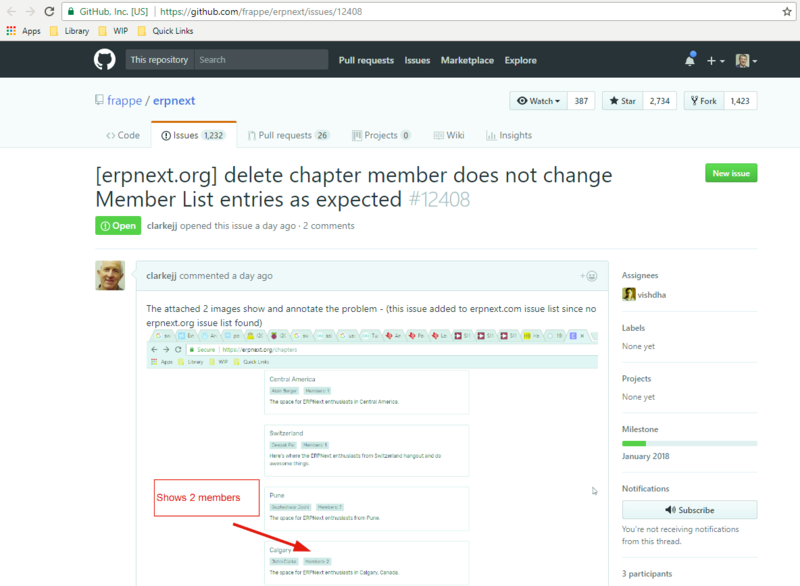 John Clarke, the chapter leader, created an issue in the erpnext project repo on Github using screenshots I made. Next, back at ERPNext headquarters in Mumbai, a developer named Vishdha assigned the issue to himself. 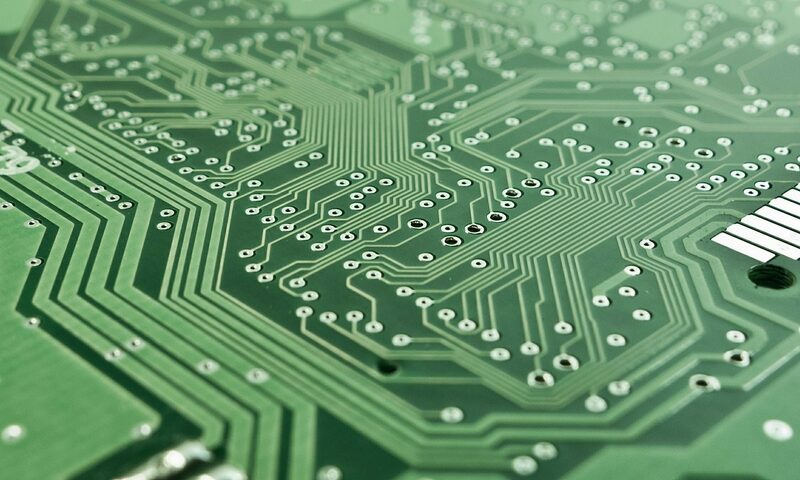 He also left a record showing the incorrect data had been removed from the production site database. 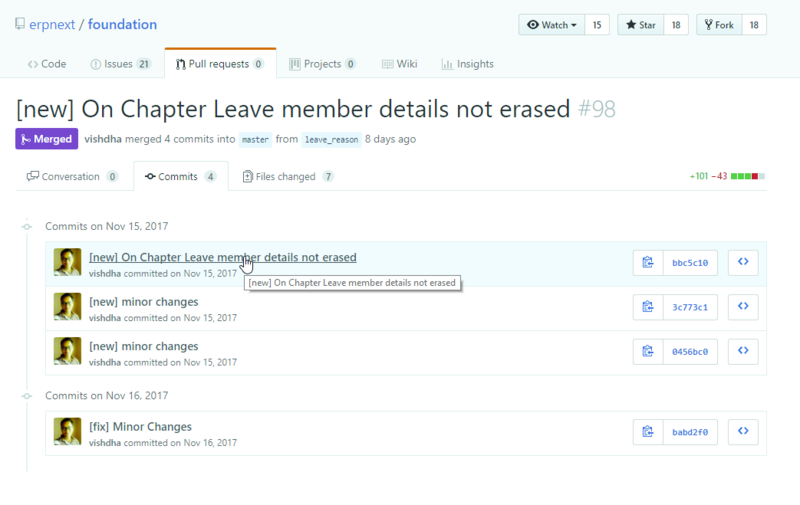 Nabinhait, a senior developer, added the issue to the January 2018 milestone (implying a monthly cadence to releases). Vishadh found the issue had been corrected in a pull request he issued two weeks ago (but obviously not yet pushed to the production site). 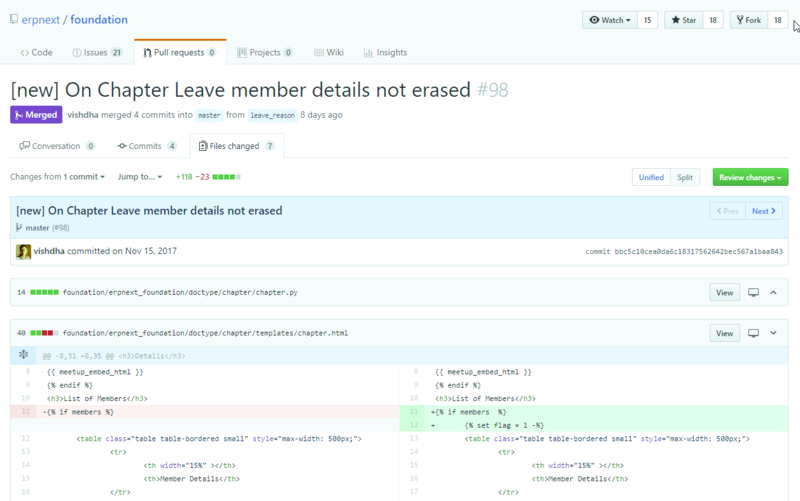 Leaving a trail for others to follow, Vishadh added a reference to the issue in the pull request, and cross-referenced the pull request in the issue. 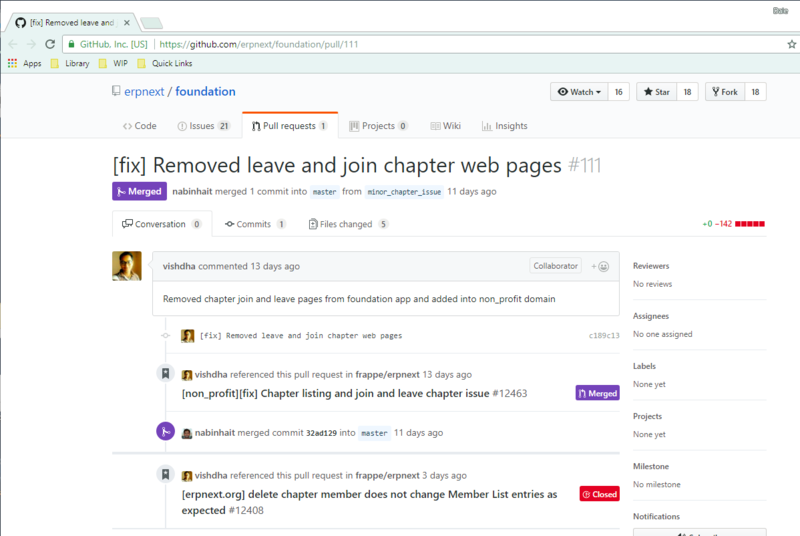 Following trail from the issue to Vishdha’s Pull Request, the pull request is comprised of changes to 7 files in four individual commits. we can drill down one final level to see the actual changes Vishdha made in each file. However, although a fix was committed to the erpnext code repository two weeks ago, it’s clearly not yet on the foundation server (erpnext.org). 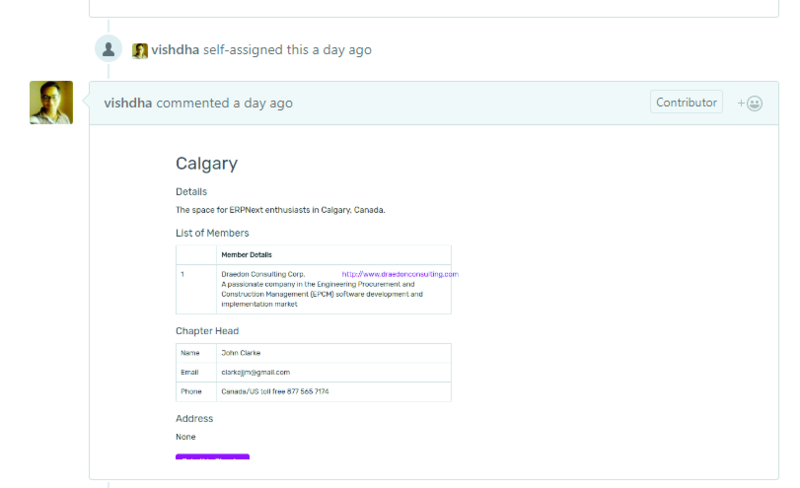 Vishdha wasn’t finished yet though and submitted a pull request to add the fix to the non_profit domain, which was subsequently merged into master by nabinhait which then officially closed the issue. Trusted and Transparent. Nice work!